5. 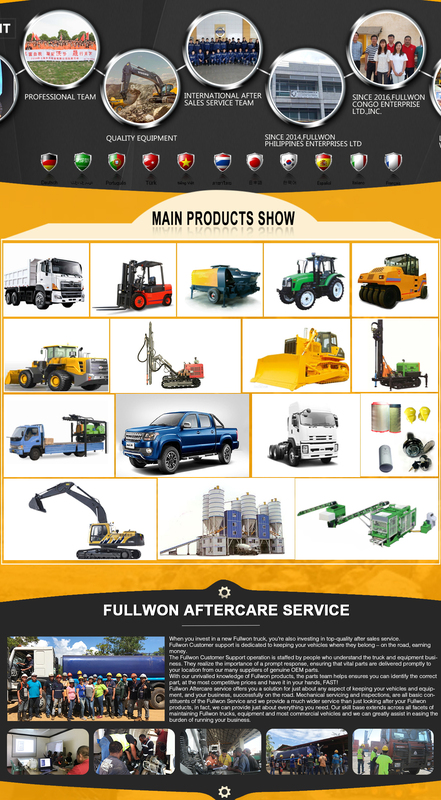 One-stop service Full Luck Enterprises Limited is one of the most professional suppliers of construction machines. 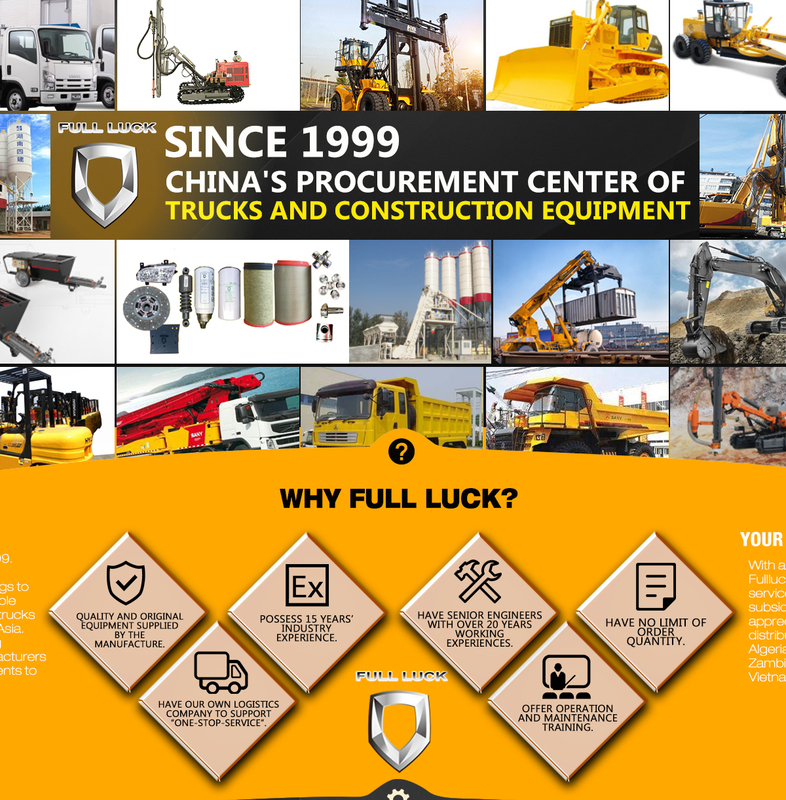 We are specialized in supplying and exporting all kinds of new plants and equipment, including truck cranes, excavators, wheel loaders, crawler loaders, backhoe loaders, compactors, bulldozers, motor graders, forklift trucks and rotary drilling rigs. Each and every machine comes with the quality performance and safety certificate that you expected. Joining in the strongest global network, FULL LUCK offers wide product sourcing ways, good market channels, professional team members and innovation ways to keep our clients. We have rich experience in dealing with companies in Africa and PNG. We are building up plants suitable for the conditions in Africa and PNG. If you have any inquiries, please contact us directly. We will come back to you within 1-2 working days. Full Luck Enterprises Limited has more experience, more understanding, more expertise and more work solutions to simplify and improve your requirements and operation.